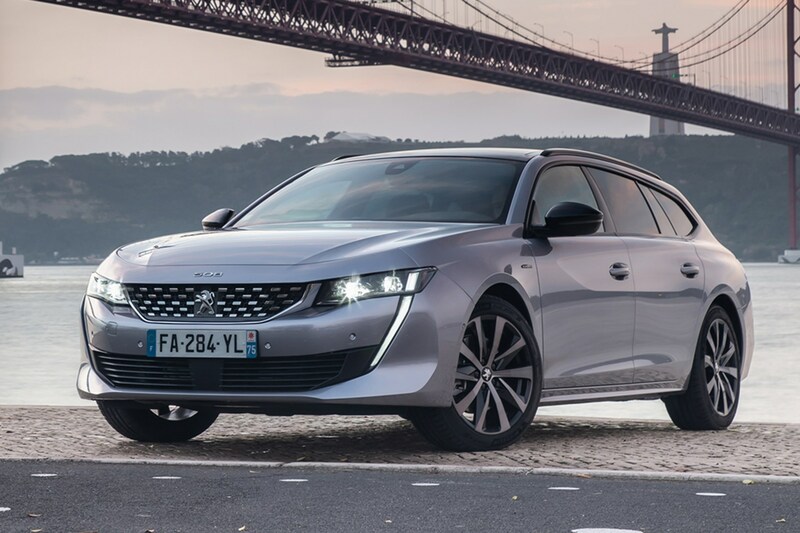 The previous Peugeot 508 SW was a low-key, conservative design practically invisible in the UK marketplace. Not so the new one: like the 508 Fastback, a saloon-shaped hatchback launched earlier in 2018, the SW has sharp, bold lines quite different from anything else currently on offer in the large family car class. It's free of the design clichés – exaggerated brake-cooling ducts (often fake), slanting horizontal tail-lights – rife elsewhere. You're unlikely to mistake the SW for anything else. 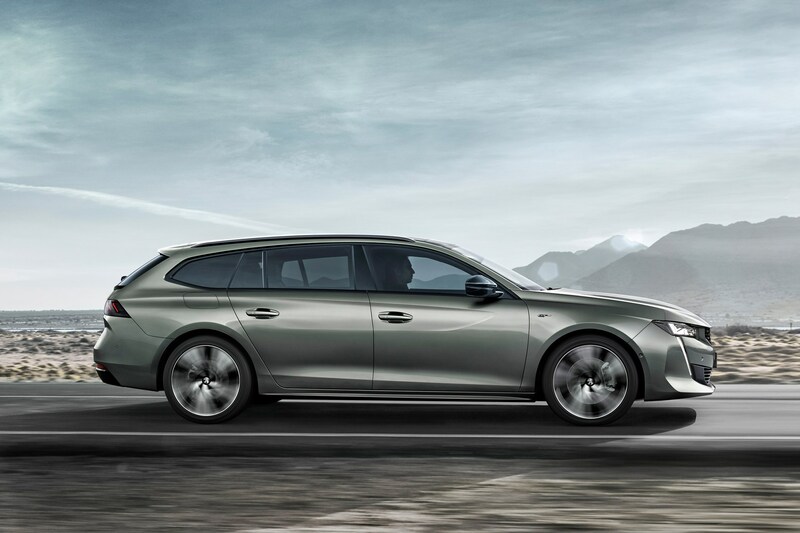 Attempting to straddle that middle ground between mainstream and premium, the second-generation 508 SW tackles the likes of the somewhat staid Ford Mondeo Estate, Vauxhall Insignia Sports Tourer and Volkswagen Passat Estate, not to mention the fantastic value the Skoda Superb Estate offers. 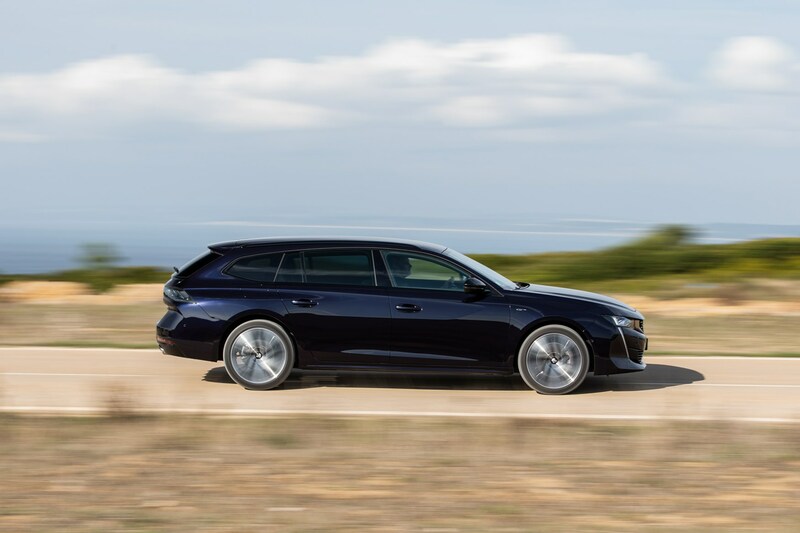 But Peugeot tells us buyers of more premium (albeit smaller) cars such as the Audi A4 Avant, Mercedes-Benz C-Class Estate, Volvo V60 and 2019’s BMW 3 Series Touring are also in the crosshairs. That’s lofty ambition, considering the sales flop the previous attempt was. We have to go right back to the 406 Estate to find a Peugeot of this size with reasonable appeal. The 508 SW is a car that doesn't directly compete with premium offerings but instead offers an alternative form of desirability. 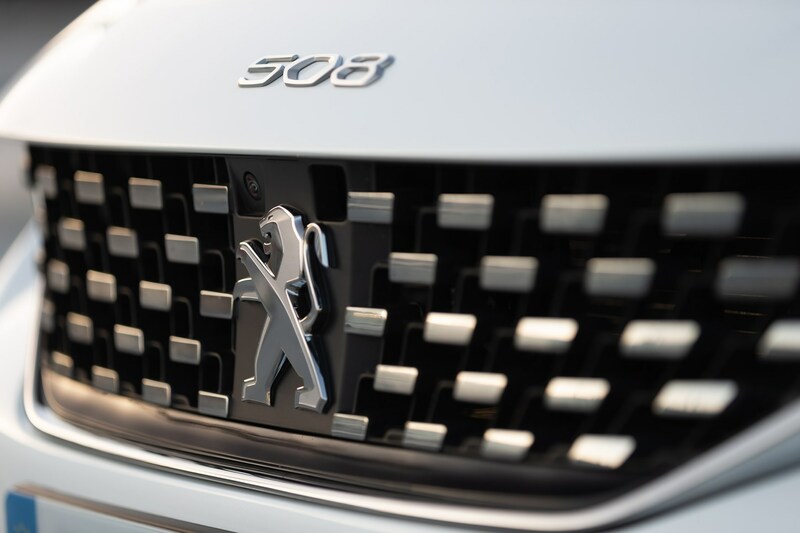 That's Peugeot's plan, at least, and the company also points to renewed interest in estate cars as buyers, according to its research, show signs of turning away from SUVs on environmental grounds. 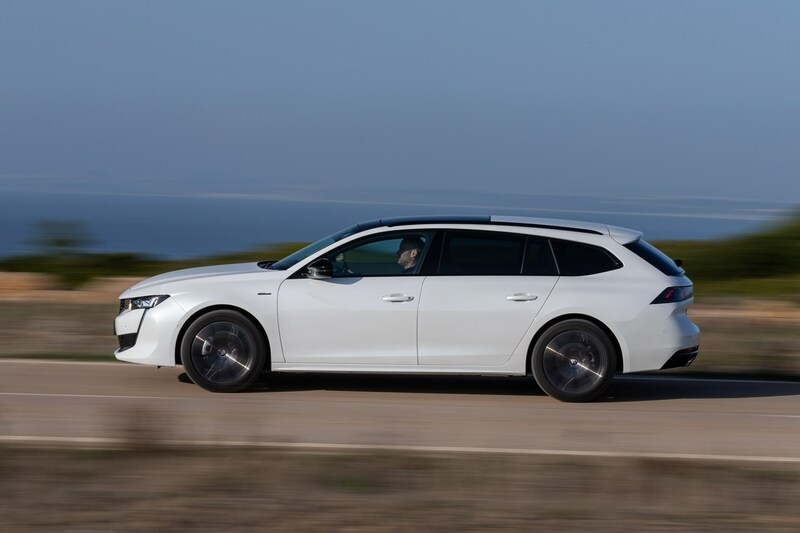 These estate cars aren't necessarily utilitarian beasts of burden, at least in the size class inhabited by the 508. 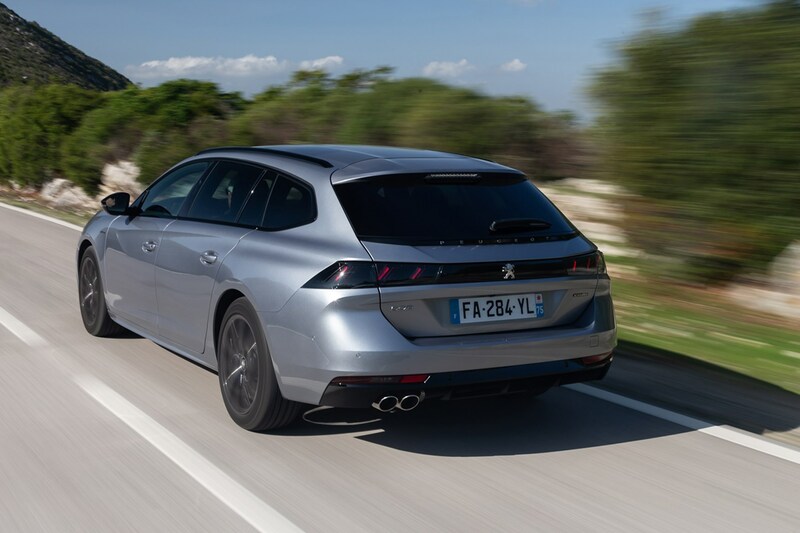 They are bought as much for their style, which is why – as here – they can get away with actually having less load space than an estate car in a smaller size class, such as the practicality-oriented Peugeot 308 SW. The design is at its best in higher-spec trims, which get the attractive LED front and rear lighting signature that sets this load-lugger apart from its rivals. We think it looks great in red, though no doubt most will be ordered in white, grey and silver – the curse of cars that are popular with business drivers. 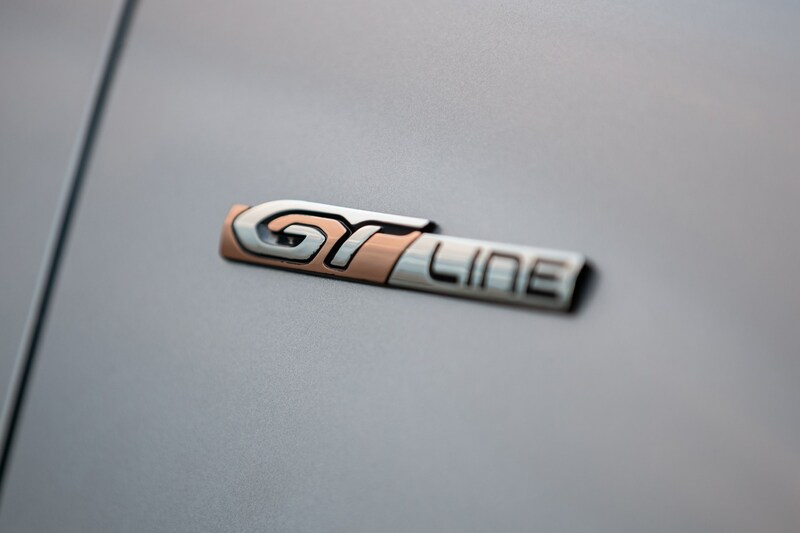 Trim levels are Active, Allure, GT Line, GT (a faster GT Line) and First Edition, which includes, among other luxury touches, a boot floor in Zebrano wood. 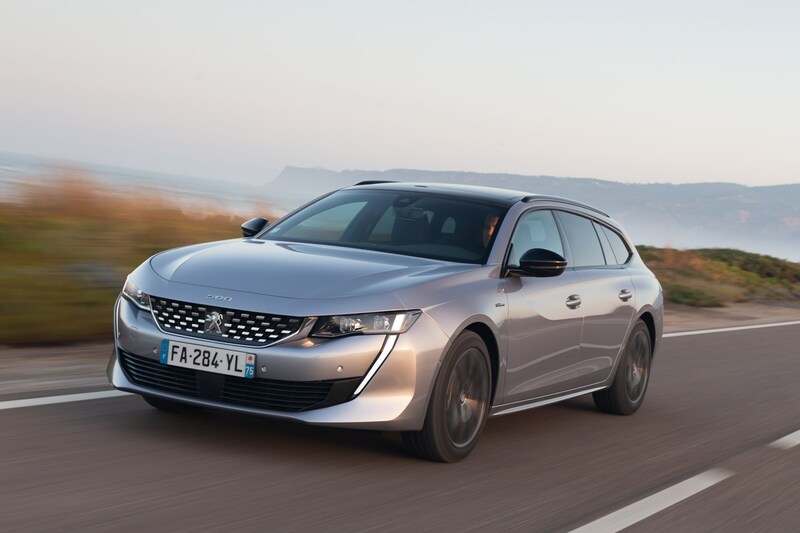 What's the Peugeot 508 SW like to drive? To drive, and to ride in, the 508 SW is much like the Fastback, apart from being a lot lighter and airier in the rear cabin. The driver can see more through the rear screen, too. 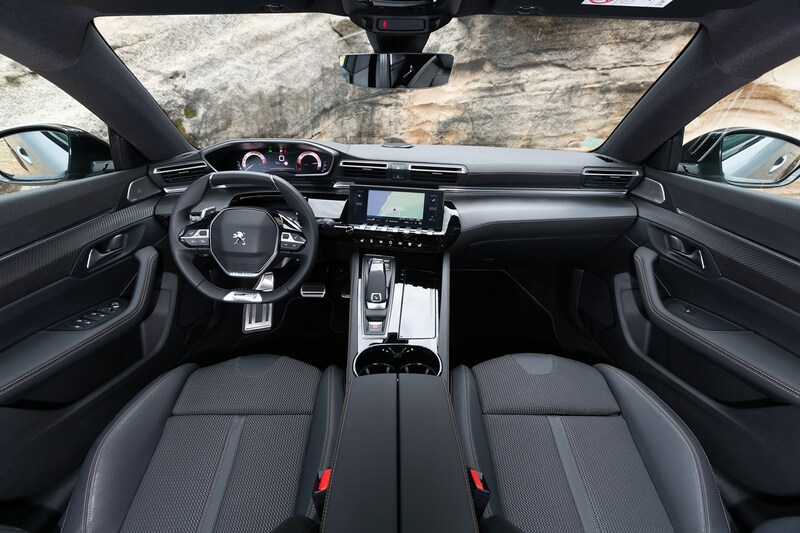 The i-Cockpit is of course Peugeot's cabin-design speciality, the tiny, low-mounted steering wheel backed here by a particularly versatile TFT instrument display panel configurable in multiple ways. 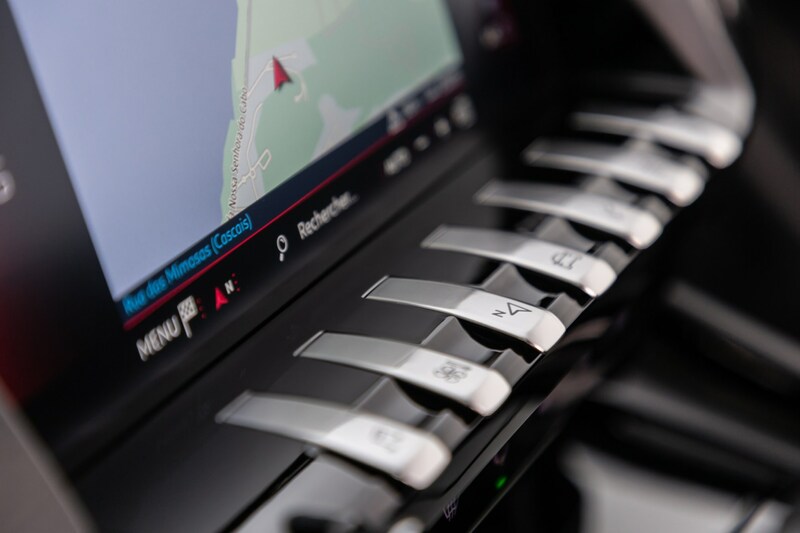 The central screen has a row of direct-access keys below, but we struggled to see the icons on the top of the 'piano keys' from our driving position, as illustrated above. Does the small wheel work well in a big car? 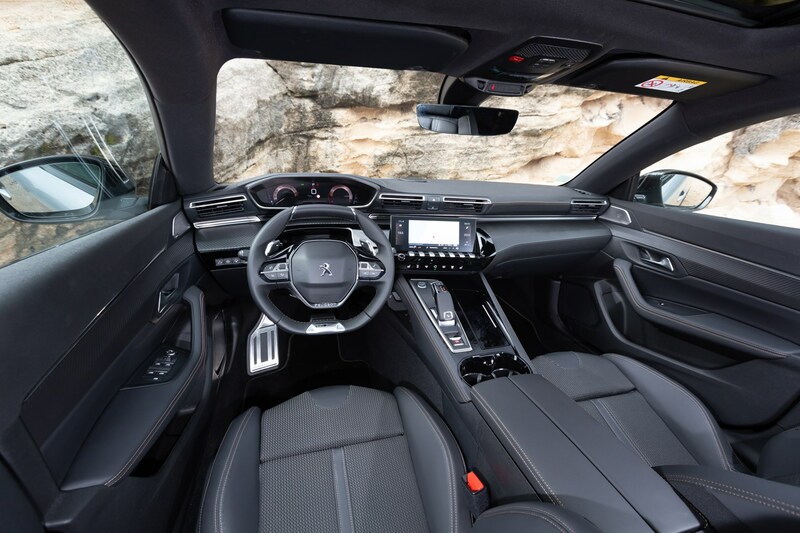 That steering wheel takes a little getting used to, the 508 feeling a touch hyperactive and 'darty' until you have recalibrated your movements, but there's no doubt that it adds to the 508's feeling of agility and responsiveness. 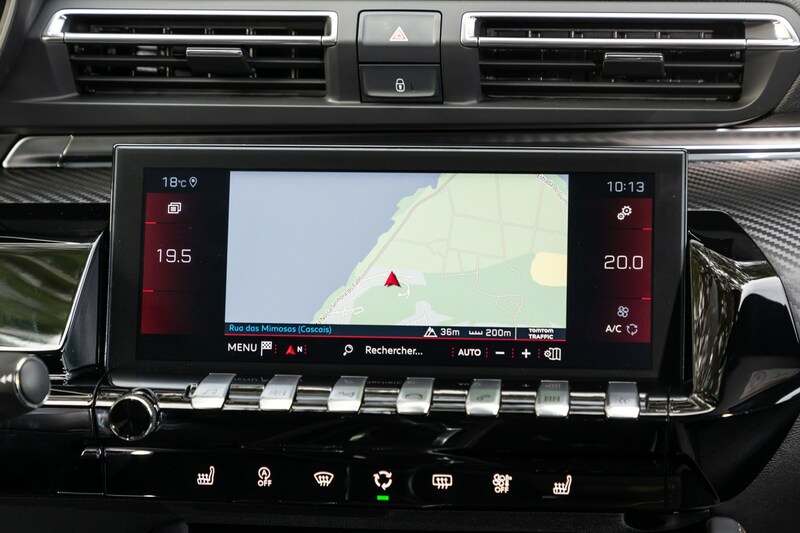 We also found it tough to find a good driving position without the rim of the ‘wheel obstructing the instrument panel, it sitting low and making us feel like we were perched too high up in the cabin. This isn’t a problem for everybody, though: take a test drive to see if it suits your body shape. That tiny steering wheel doesn't stop this feeling a wide car to thread past urban obstacles, either, and while the open-road handling is precise and enjoyable the ride over broken surfaces can be abrupt at times – particularly on larger wheels with non-adaptive suspension. There's a fine tally of safety systems, mostly standard. Night Vision picks up the presence of pedestrians and sounds a warning if there's a danger of contact (it's a touch over-cautious). If you turn off the overly enthusiastic lane-keeping assistance, perhaps because you could do without the steering wheel's tugging on a narrow, twisting road, then you have to put up with a distracting yellow warning light. 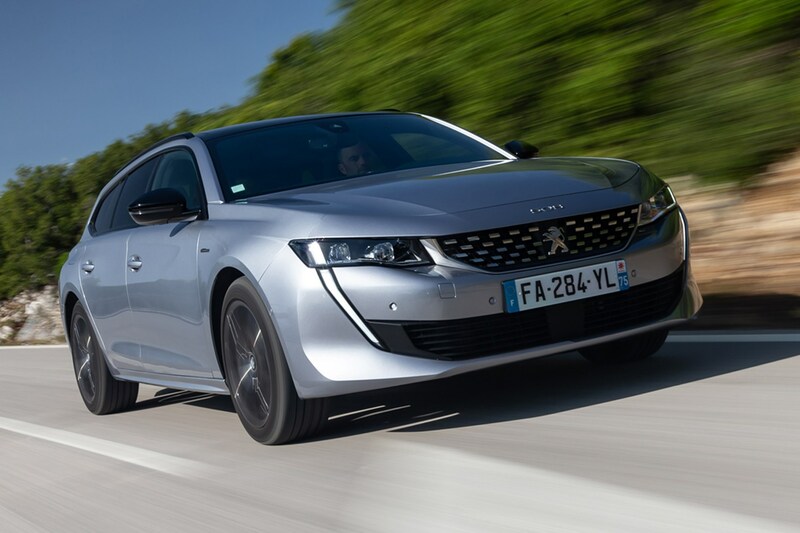 Which engine should I choose in the 2019 Peugeot 508 SW? The SW's engine range is exactly the same as the Fastback's, which means a pair of 1.6-litre, turbocharged petrol engines of 180 and 225hp, a 1.5-litre turbodiesel with 130hp, and a 2.0-litre turbodiesel with 163 or 180hp. All are matched to an eight-speed automatic gearbox, but a six-speed manual is also available with the 1.5-litre diesel. Even under the more stringent new WLTP emissions test regime all the engines are impressively economical, given the size and weight of car they have to haul: 100g/km CO2 for the small diesel, while even the 225hp petrol SW scores just 132g/km. Peugeot expects the diesel derivatives to sell strongly despite the market downturn for diesel, and indeed we were impressed with the 1.6 in both its power outputs, but the sweet spot of the range – for private buyers at least – is a 508 SW powered by the lively, frugal and very civilised 1.6-litre PureTech 180 petrol engine. The highest output engine, with 225hp, feels noticeably punchier than the 180 but somehow doesn’t suit the 508 SW’s comfy, laid-back character quite as well. We’ve yet to sample the 1.5 diesel or manual gearbox at time of writing. With eight smoothly-shifting ratios in the automatic transmission to choose from, none of the engines is ever left gasping outside its sweet spot. 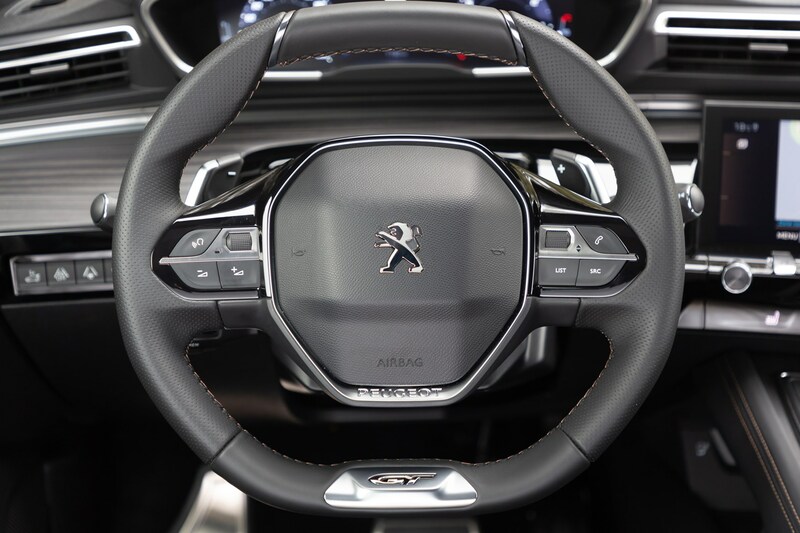 We liked the steering column-mounted gearshift paddles too – they’re easier to use on the move than ones attached to a constantly moving ‘wheel. 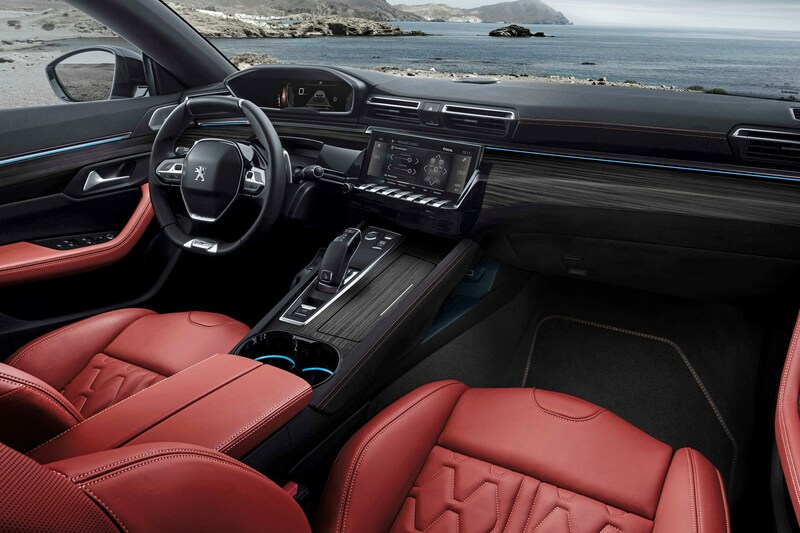 There are drive modes on offer here too, though we’d suggest Sport is probably best left alone – sit back and enjoy the supportive seats instead, because if you go too quickly around a corner you’ll find their lateral support leaves a little to be desired. In all other aspects, however, on the high-spec cars we tried, the seats impressed with their adjustability and suppleness. 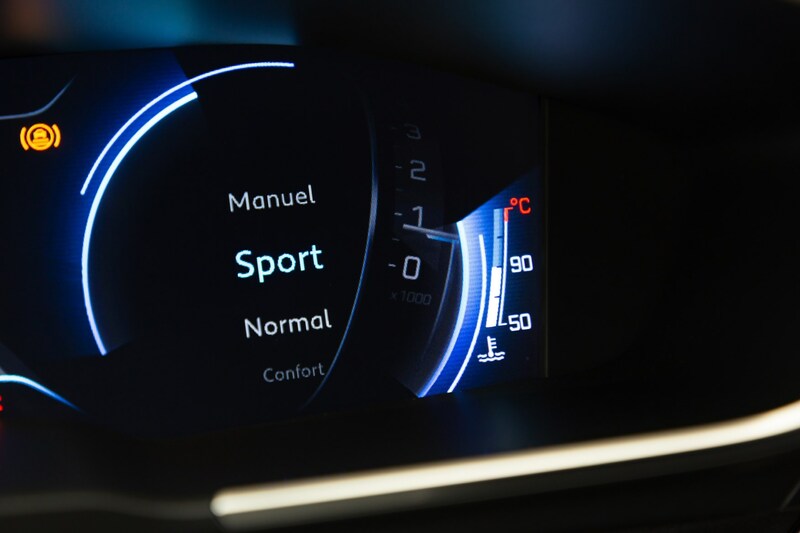 Comfort seems to suit the 508’s character far better by softening the control weights, while Normal is the default setting and sits in the middle. Manual (image above is of a Spanish car, hence 'Manuel') simply allows the driver to change gears themselves with the paddleshifters. 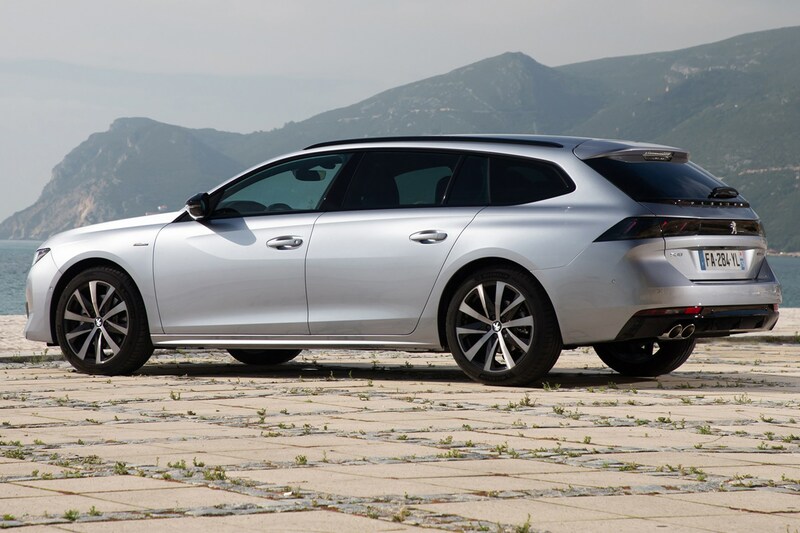 Is the Peugeot 508 SW spacious enough for the family? 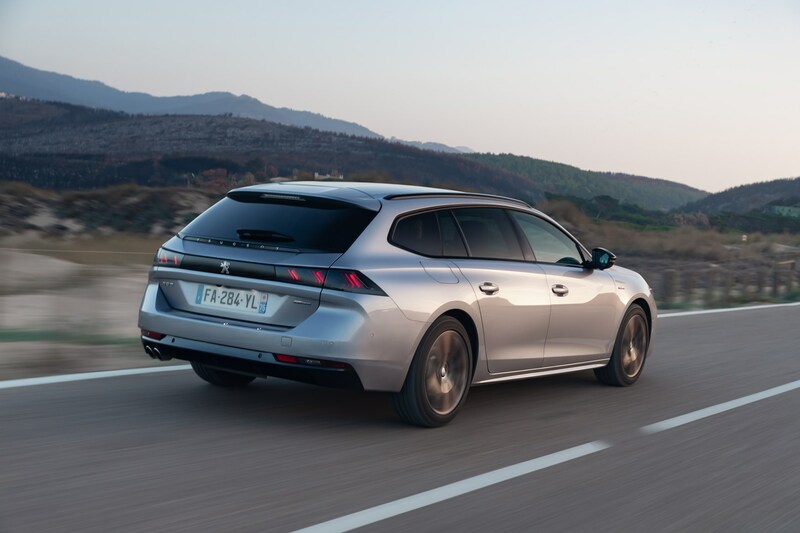 Peugeot has an extensive back-catalogue of roomy estate cars and the latest iteration of the 508 SW is no different. 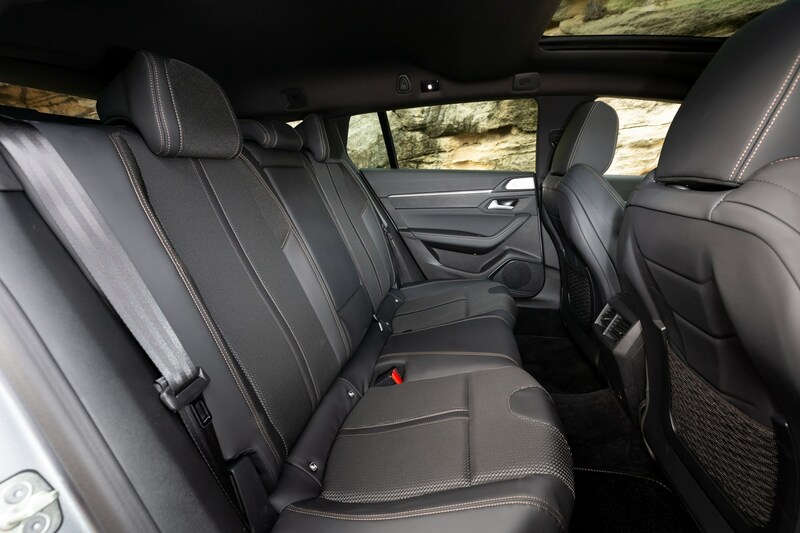 The previous model was a relatively spacious vehicle, with room enough for four six-foot-plus adults, and this new 508 SW has the same amount of space behind the front seats. It’s not commodious in the way a Skoda Superb Estate is back there, but certainly more generous than an Audi A4 or BMW 3 Series – both smaller cars, but ones Peugeot thinks buyers will be considering alongside this new French protagonist. That it pulls off such a commodious loadbay despite its rakish styling is all the more impressive. 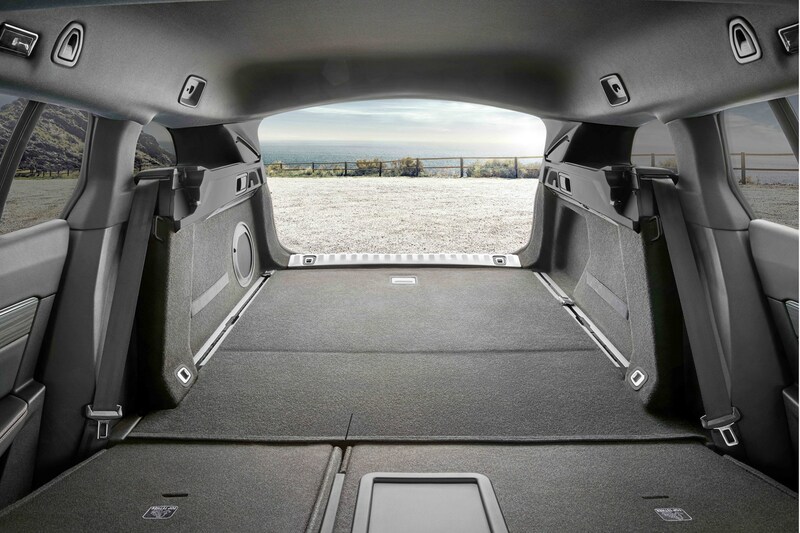 With the rear seats in place there’s 530 litres of space available below the fabric luggage cover, extending to 1,780 when the seats are dropped down. Unlike rivals with a flexible 40:20:40 split rear seat, the 508 SW’s is a more traditional 60:40, although the panel behind the central armrest (on all but base-spec cars) folds down for long, slender loads. 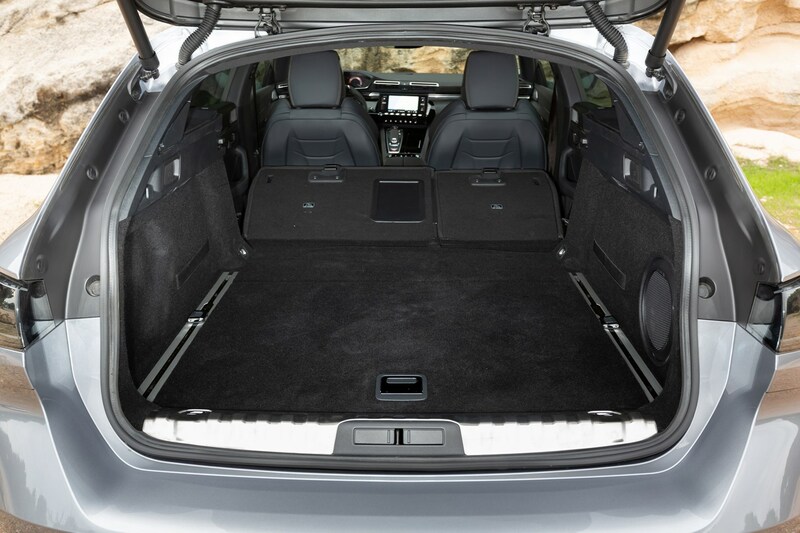 Peugeot describes the rear seats as dropping to create a 'virtually flat' floor, but looking at the only official picture of the loadspace released so far, they don’t appear to be on quite the same plane as the boot floor, so loading heavy or bulky items may prove a little trickier than it could be. The arrival in a few months' time of a plug-in hybrid version is one reason for that high floor – the battery will sit beneath it. The tailgate is powered on all but Active trims, with handsfree operation by passing your foot under the bumper. 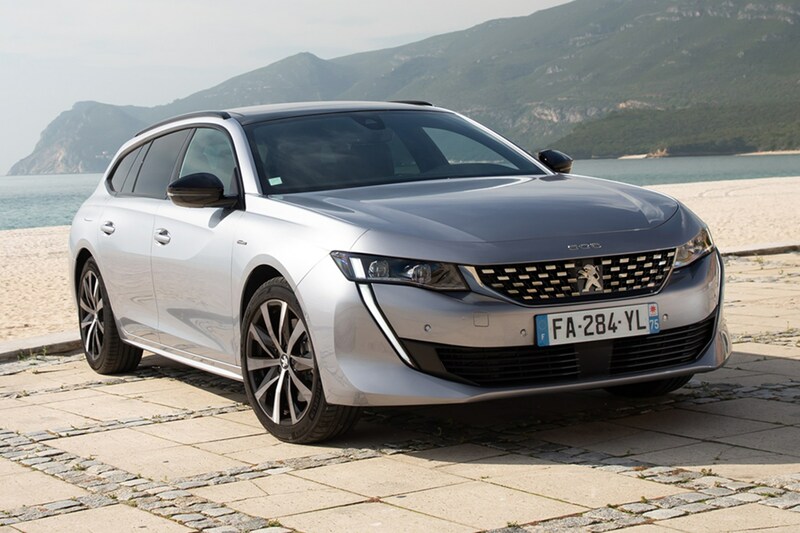 Tell me about the Peugeot 508 SW plug-in hybrid? Electrification is coming: joining the range late in 2019 will be a 508 SW plug-in hybrid (PHEV), marrying up a petrol engine with electric power. No technical details have yet been released, but it has a claimed electric-only range of 25 miles, while the SW’s practicality isn’t compromised as the battery pack will be located under the rear seats. Unfortunately, that doesn’t make for much in the way of tax incentives for company car drivers in the UK, since benefit-in-kind is calculated based on both CO2 output and the range available on electric power alone. The 508’s range is simply not long enough for much of a discount in the coming years. BIK will be payable at 13%, 16% and 14% for the next three tax years, assuming the CO2 emissions fall below 50g/km. If not, it’ll be more expensive still. If the electric range was longer, that third year could drop to 12% or even 8% in 2020/21 – saving you significant cash. A zero tailpipe-emission fully electric 508 SW could also follow in due course, and should have far lower tax bills, but it’s likely to be 2020 at the earliest before this sees the light of day. 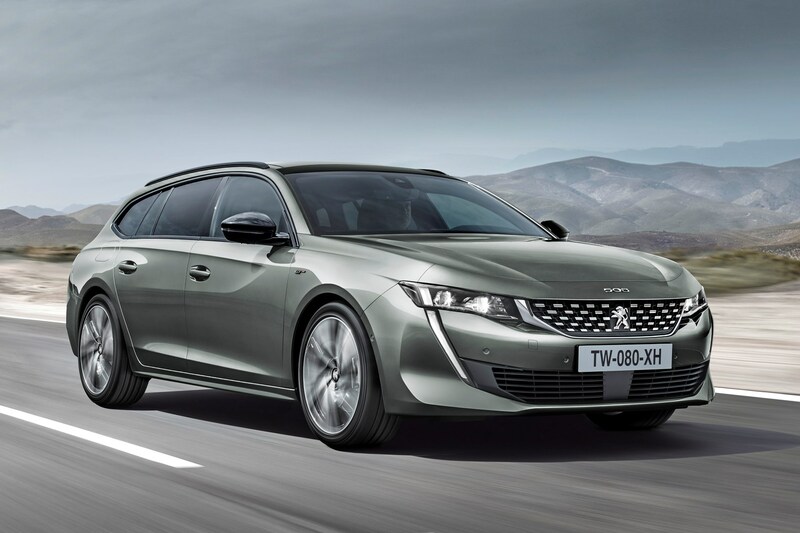 How much will the 2019 Peugeot 508 SW cost? 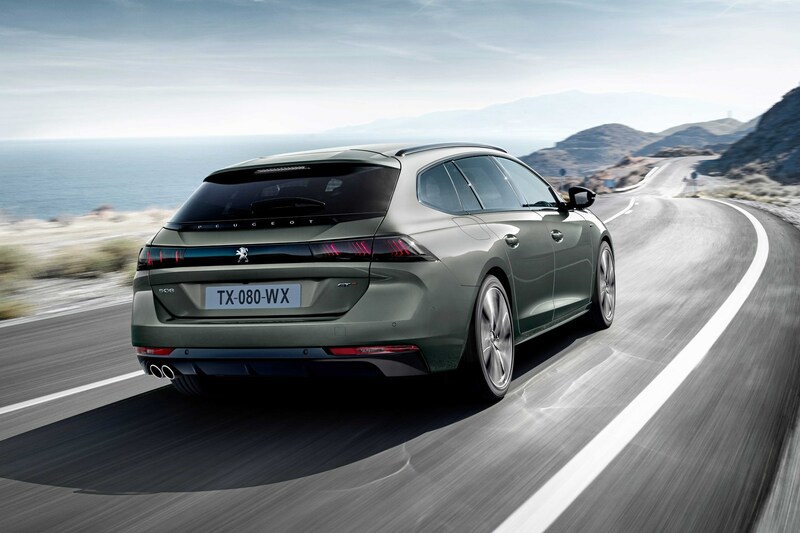 Peugeot has so far been coy about 508 SW pricing, but given the outgoing model costs approximately £1,600 more than its saloon counterpart, it’s a useful yardstick this time around. That means the 508 SW is likely to weigh in at around £26,639, rising to £38,614 for a First Edition car. More relevant to most drivers are PCP finance costs. Monthly payments for the 508 Fastback at launch were very high, so you'll want to get like-for-like finance quotes with several rivals to see how 508 SW costs compare with premium rivals. For context, the 508 Fastback cost more per month than a larger, more powerful and more desirable Jaguar XF equivalent (with matching contract terms), so you'll want to compare finance costs with several alternatives to make sure you're getting good value. Order books are expected to open for the 508 SW before the end of 2018, although it will be January 2019 before it’s available in showrooms. Rather than try to match the usual premium players, Peugeot has boldly gone its own way with the dramatic-looking and desirable 508 SW. If an estate car can rock the established order, this is the one to do it. 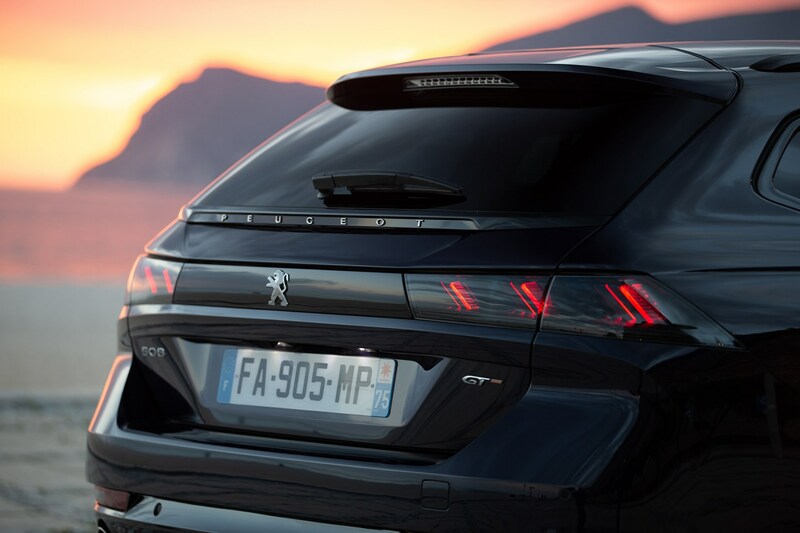 Just be sure you’ve done your homework on the trim structure and engine options and compare finance costs if you're planning on taking Peugeot's PCP finance option. In particular, it’s crucial to price up your running costs over the period you’re planning on keeping the car. Fleet drivers in particular may find monthly bills steadily creeping skywards.